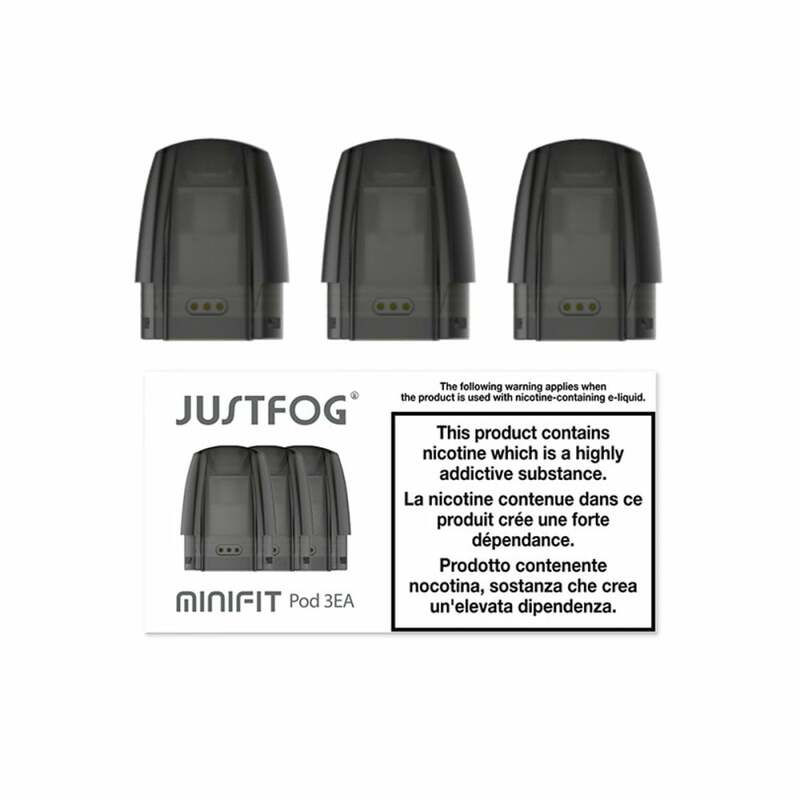 These Minifit replacement pods are for use with the JustFog Minifit Kit only. Each pod holds 1.5ml of your e-liquid of choice, and contains a 1.6ohm coil. Minifit pods use organic Japanese cotton as a wick, delivering pure and bold flavour every time you inhale. To fill your Minifit pod, turn it upside down, remove the stopper from the base of the pod and drip your e-liquid through the filling slot. Replace the stopper and you’re ready to go! Minifit pods come in packs of 3. Great pods for a stealthy yet powerful (for its size) vape.